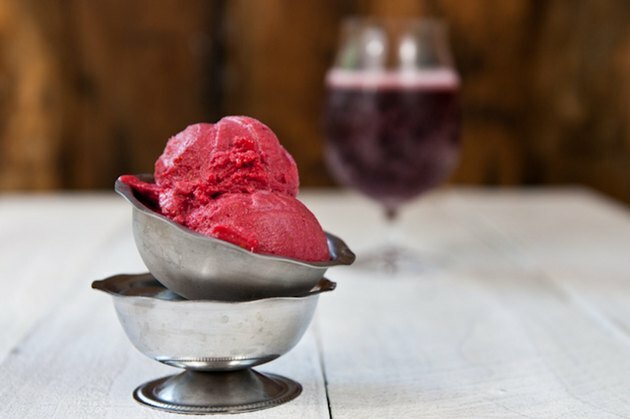 If one of your weekend tasks is to fill a tub with adult beverages that please the masses, you need to know about lambic beers. I’ll spare you the Beer Geek ramblings about how this is a Belgian beer brewed with wild fermentation, and just tell you what you really want to know. Lambics are fruity and low in bitterness, and often taste quite a bit like hard ciders. These beers can be easy to drink for people who shy away from beer, and make excellent additions to a craft beer cocktail. If you have a white wine-drinking friend who swears she doesn’t like beer, serve her a lambic and she may just change her tune. 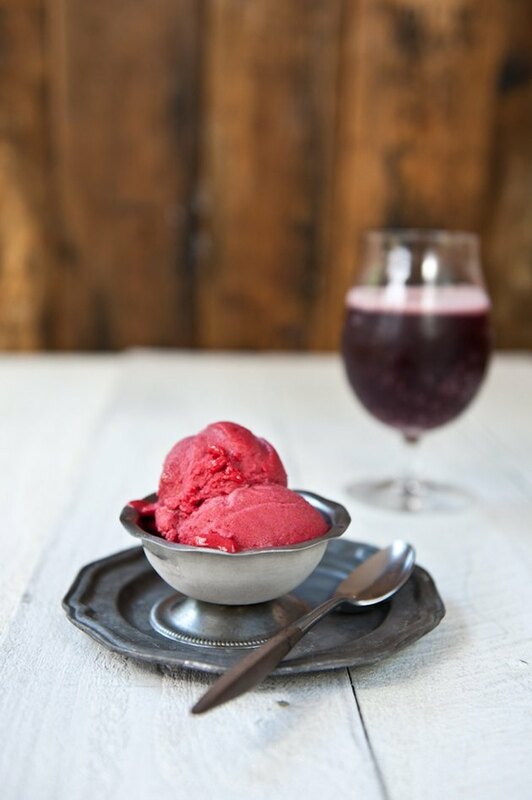 If you can’t get your hands on a lambic, a nice craft cider will work just fine in this incredibly easy blend-and-churn sorbet that will impress the guests at your next summer party. Since it is made with an adult beverage, make sure you just serve this one only to the grownups. Add all ingredients to a blender; blend until smooth. Churn the mixture in an ice cream maker according to manufacturer’s specifications until it reaches a soft-serve consistency. 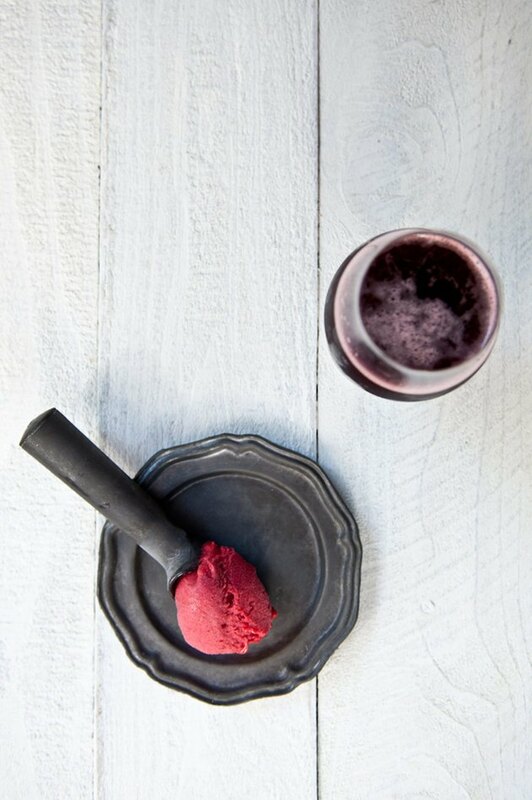 Transfer the sorbet to an airtight container and freeze until set, about 2 hours.